from 3 pcs. 4.95 € (4.95 €/1 kg) 10% -0.55 €/pcs. from 9 pcs. 4.67 € (4.67 €/1 kg) 15% -0.83 €/pcs. 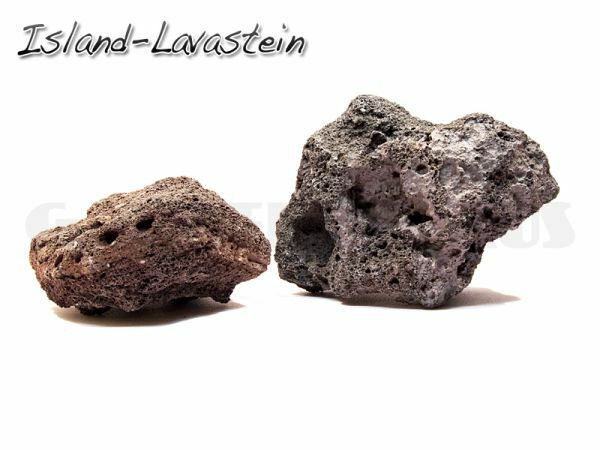 Light and porous, dark black-grey-reddish lava rock from Iceland with beautiful natural forms, which can easily be worked upon or be planted e.g. with Hemianthus callitrichoides "Cuba" or mosses. We will do our utmost to mix the sizes of the stones you order. If you prefer to have only one certain size of stone, or certain dimensions, for example for your main stone, please make a note in the comments box when going to the checkout counter. Please understand if we cannot give you pieces with exactly the dimensions you want, but we will do our very best to come close.